FREE Health Talk: Therapeutic Dietary guidelines for individual body-types: Vata, Pitta, Kapha. 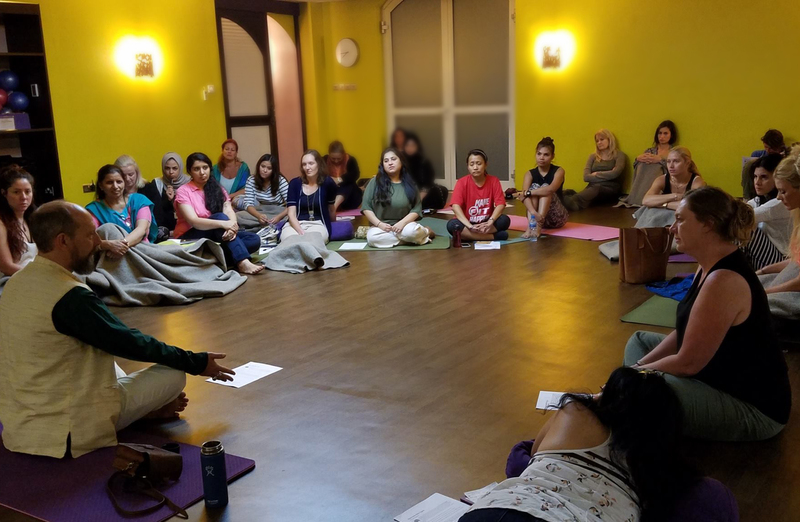 The 2nd class of a series of classes and workshops on Ayurveda by Khabir Southwick and sponsors in Dubai and Abu Dhabi, 2017. This class will cover the dietary guidelines and eating habits recommended for each body-type according to Ayurveda. You will learn what vegetables, fruits, grains, oils, sweeteners and beverages are best for each body-type/dosha. (This type of therapy is called Ahara Chikitsa in Ayurveda - the ancient health-care system of India). * Dietary and meal planning guidelines for the VATA dominant body-type. * Specific dietary and meal planning guidelines for the PITTA dominant body-type. * Specific dietary and meal planning guidelines for the KAPHA dominant body-type. * Various dietary and meal planning guidelines for mixed body-types. A very valuable course for anyone one who wants to improve their health naturally. Khabir Southwick (55) maintains a private health-care practice and herb clinic in Ojai (and previously in Santa Barbara), California. In last 18 years, he has helped thousands of people to naturally overcome a wide range of health conditions and improve their physical and mental well-being with individualized [Ayurvedic] diets, [wholefood] nutritional therapy, [Western & Ayurvedic] herbal treatments and traditional home remedies. Khabir helps clients suffering from a variety of health conditions including chronic respiratory conditions (hay fever, asthma, allergies), joint pain (osteo-arthritis, rheumatoid-arthritis), high blood pressure, high blood fat (cholesterol, lipids) levels, digestive problems (acid reflux, constipation, gas, bloating, inflammation, IBS, food allergies, etc. ), female health (PMS, menopause symptoms, pregnancy), male health (inflamed prostate, ID, PE), mild depression, anxiety, insomnia, diabetes type 2, obesity, skin conditions (rashes, eczema, psoriasis), children's health and more. * Lectures are for educational purposes only and not intended to treat or diagnose any medical condition.